one of the things that i miss the most about tennessee is publix. i can’t say enough wonderful things about the store. one of my favorite things to pick up there was pre-made pizza dough and top it with just about any topping i’d like. pre-made dough is non-existent in wa. i’m working on a replacement recipe (aka future post), but it is not as easy as going to publix and buying it pre-made in the bakery. just sayin. i suppose that this is a “things that i miss about michigan” post, too. 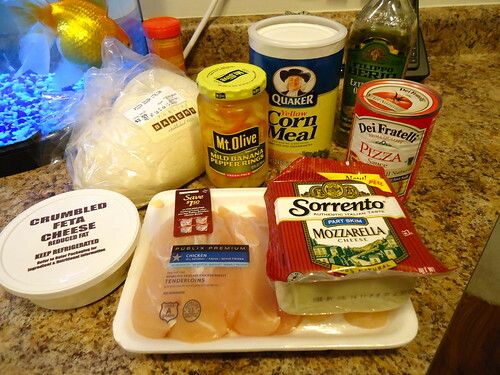 the inspiration for chicken mediterranean pizza comes from cottage inn pizza. i’ve never seen a pizza like it on a menu since moving, so of course, i had to re-create it at home. 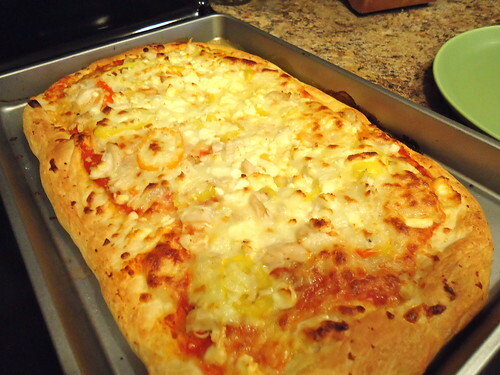 top pizza with sauce, 1 c mozz cheese, chicken, 2 c mozz cheese, feta cheese and banana peppers. brush crust with evoo, to give it a nice golden finish. bake in the oven for 20-25 minutes, or until crust is golden brown and cheese is bubbly. thanks for posting. the Mediterranean chicken is my favorite!!!! !